Don't miss any new product launches and news from the interiors business! On ambista you will find the new products of the leading manufacturers in the furnishing industry. Start your research now and find new business partners and contacts. 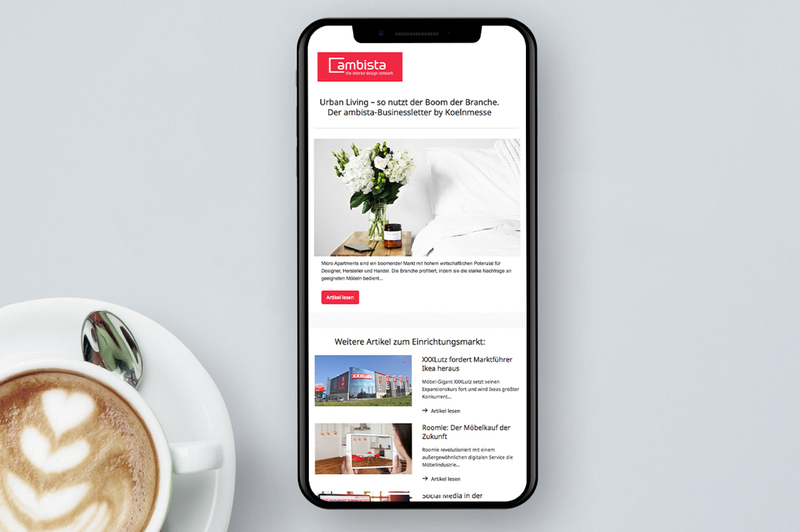 Find exactly what you are looking for from all products, companies and contents on ambista: with the simple filter and sorting functions and your clear notepad. Save contacts, products, companies or news to your personal bookmarks list so that you can find them later at a glance. by Guangdong Taiming Metal Products Co., Ltd.
Search the company profiles of other members to find suitable new business partners. Create your own company profile to increase your chances of being found as a market player. Send or receive enquiries as direct messages. Find the right partner for your business among all the ambista members. Would you like to know exactly how ambista works? You’ll find everything you need to know in this video. You can find background information on how ambista was developed and its goals here.